MACKAY'S mystery bike rider is at it again. The man was snapped a second time in one week transporting an awkward load on his bicycle, this time at the corner of Nebo Rd and Shakespeare St. He appears to have achieved the impossible, stacking about 20 boxes on the back of a trolley attached to his bike. The impressive feat hit a snag on his journey when the boxes toppled from their precarious position on the back of his bike. One commentator posted on the Daily Mercury's Facebook page that the man was "not a happy chappy" after he was forced to restack the pile five times when the boxes fell onto the side of the road. 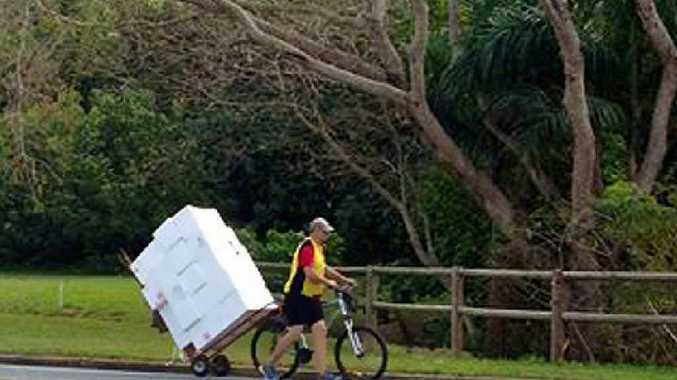 The Mackay community has taken its role of citizen snappers seriously, seeking out this bicycle-riding Where's Wally on his trips transporting heavy loads through the city. A Mackay Traffic Branch spokesman said while he'd received no further reports of the bike rider, the matter was under investigation. 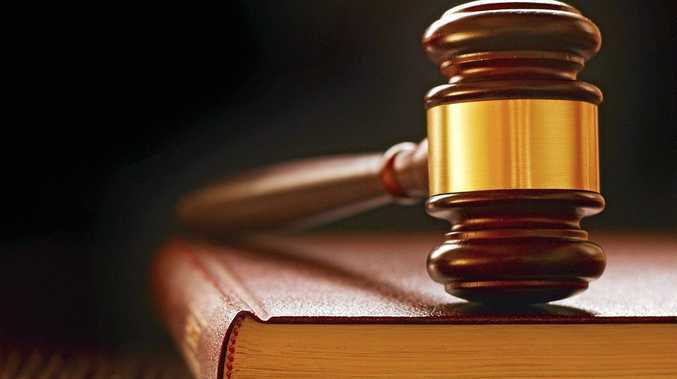 He said carrying heavy loads on a bicycle was "just not safe". "Obviously you can't control a bike safely like that," he said. The spokesman said punishment for riding a bicycle with a heavy load would be determined on a case-by-case basis. "We'd have to look at the circumstances," he said. "Once the officer had dealt with it, they'd determine the appropriate course of action, whether that is a court appearance or something else." Facebook commentators said they'd also seen a man carrying a door and planks of wood. TRAINING for the Tour de France or trying to be environmentally friendly were a few of the reasons Daily Mercury staff came up with to explain the behaviour of Mackay's mysterious bike rider. Members of the public have snapped pictures of this man carrying a large door and transporting about 20 boxes on a trolley attached to the back of his bike. His cavalier attitude to road safety and the reasons for his bizarre behaviour have created much debate in the Daily Mercury office. "Maybe he's just trying to get fit," one staff member suggested. "Or he could be creating a new courier business," another said. One journalist even thought the man might not have a car and is instead using a bike to transport his belongings to a safe place before the zombie apocalypse.